Gadget Guru, the gadget show by NDTV had interviewed Kapil Sibal, the Human Resource and Development minister about their very much rumored tablet PC that they were developing for a very low price. And its now confirmed that the product is going to be released soon, as the prototype presented by them was perfectly working. And Kapil Sibal said that it’s going to cost just $35 i.e. INR 1500. Its based on android platform, and the performance is excellent, with all the features similar to the android devices presently sold in the market. 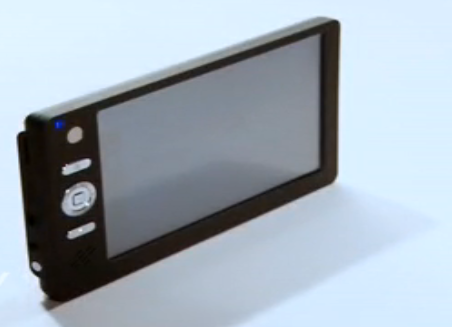 It has a virtual keyboard on the screen itself, which says it has a touchscreen with the resistive interface. Camera – There is a camera on the back side of the device, which can help in capturing videos and taking pics. The apps in android supports documents and plays videos and presentations. There is a SIM card slot, along with a Flash card reader, and 2 USB slots, which are all the advantageous features when you compare to one of the biggest tablet devices around – iPad. These tablet PCs are being made for students of various universities in India initially, and later would be available globally. But they are not going to be sold in the retail market. Around 1 million pieces would be launched and distributed in the colleges. 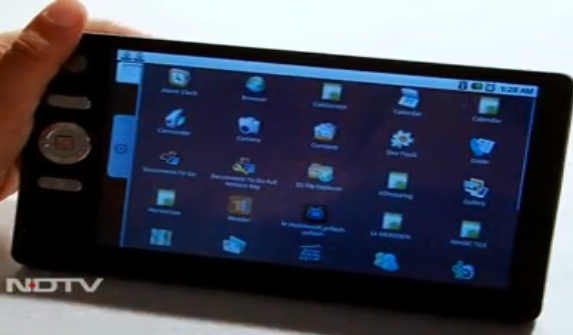 Right now its with Android but later it might come in with Windows CE as Kapil says, Microsoft were interested in the project too. Unlike many other rumors, this was a real news as the NDTV guys had tested the prototype and it has worked well with no bugs. can i get in indonesia? So whats the business plan behind this generosity what they want to do by suppling such PDAs to students ? Did this release finally? or this was something hyped and then forgotten both by the people, and the government? The price of $35 should be coming in with a catch surely. Or would this be a chinese product bought for the least price and branded in India by the govt? can I get it from bangladesh?